My submission for Vector Wallers' contest. My theme was "Loneliness and isolation", and I hope I came up with a good idea. The wallpaper as a whole took about a few hours to put together. 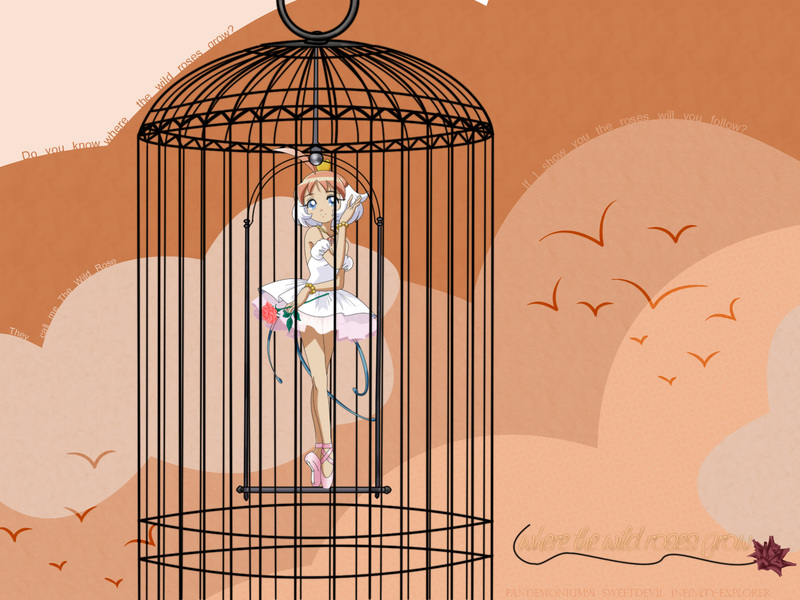 I made the sky, cage and character separately, since PS froze every time I tried to open 2 of these pictures simultaneously OX In the end I managed to piece everything together. The rose vectors and the textures are the only things I didn't make in this wallpaper (and the font, of course). Credits are below. As you can see, I desaturated the colors on the vector, because they were too intense. I left them a bit intense, though, since I wanted her to stand out. I don't know why, but Tutu reminds me of a rose - maybe that's why I choose this song to illustrate my theme. i really like your idea..
this wallpaper is really something special, it's simple but oh so eligant. 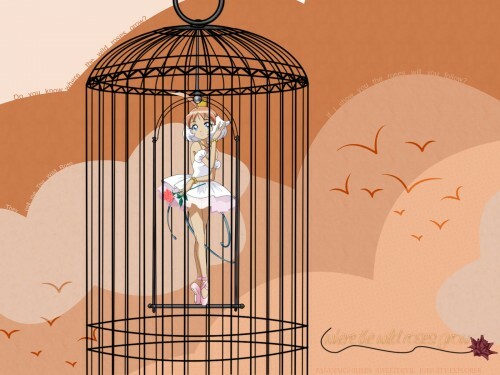 The background and cage are very well made, though Tutu kind of stands out a bit too much. Overall, exquisite.